The Critically-Acclaimed Singer Will Make His Nationally-Televised Major Awards Show Performance Debut on the 34th Annual Stellar Awards Airing on Friday, April 19 at 8 PM ET/7 PM CT and 10 PM ET/9 PM CT on BET Network. 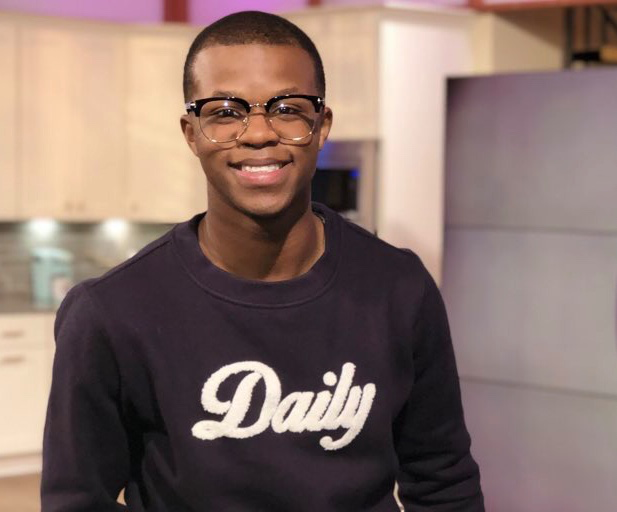 ATLANTA, GA (Thursday, March 21, 2019) — Nearly five years after going viral on YouTube (1 million+ views) singing, “I Won’t Complain” in his high school cafeteria, 19-year-old viral sensation-turned-chart-topping-recording-artist, Kelontae Gavin continues to tally Billboard chart achievements reaching new levels of success and fame. This week, his song “No Ordinary Worship” debuts on the mainstream top 40 radio-based Billboard Adult R&B Songs Airplay chart rising from No.41 to No. 39. The song reaches 14.1 million on-demand U.S. audio and video streams combined while sporting 91.3 million in all-format airplay audience to-date. In addition to his Adult R&B Songs Airplay debut, “No Ordinary Worship” reached Top 5 on three Billboard genre-based charts: To-date, the song peaked at #4 and spends its 47th week on Hot Gospel Songs, which combines airplay, streaming and sales data. On Gospel Airplay (spent 53 consecutive weeks on the tally) and Gospel Digital Song Sales (42nd week), both peaked at No.5 on the chart. His April 2018 Warner Music Group distributed 11-track live freshman album, The Higher Experience (MBE/Tyscot Records), co-produced by hitmakers Marquis Boone and TedyP – reached No.1 on the Gospel Albums Sales chart. Additionally, Gavin also debuted on multiple Billboard mainstream charts: No. 4 on the Next Big Sound chart and the all-genre Top Independent Album (No.11) and Top Albums Sales charts (No. 94). The South Carolina born, Atlanta-based multi-faceted newly appointed worship leader of the 12,000 member House of Hope Atlanta megachurch will make his nationally televised major awards show performance debut on the upcoming 34th Annual Stellar Gospel Music Awards presented by AT&T and hosted by Kirk Franklin. The live show will be taped in front of an audience at Las Vegas’ Orleans Arena on Friday, March 29, 2019. It will air Friday, April 19 at 8 PM ET/7 PM CT and 10 PM ET/9 PM CT on BET Networks. He’s also nominated in the categories of Male Vocalist of the Year, Contemporary Male Vocalist of the Year, Contemporary CD of the Year and Praise and Worship CD of the Year. Stream the Audio of the Album, Download the Digital Album or Buy the CD by clicking this link: http://smarturl.it/mxy2bp | Stream the Concert Video, Download the Concert Video or Buy the DVD by clicking this link: http://smarturl.it/5dqusa.